Cast | Black February, a film about Butch Morris. Lawrence D. “Butch” Morris is recognized internationally as the principal theorist and practitioner in the evolution of Conduction, and a leading innovator in the confluence of jazz, new music, improvisation and contemporary classical music. Butch’s work redefines the role of composer, conductor, arranger and performer and bridges the gap between the composer, interpreter and improviser. Since 1974, his career has been distinguished by unique and outstanding international contributions to television, film, theater, dance, radio interdisciplinary collaborations, concerts and recordings. He has worked with countless musicians and composers, choreographers, visual artists, writers, theater and film directors and performers, including the musicians Alice Coltrane, Gil Evans, Cecil Taylor, Steve Lacy, choreographer Min Tanaka, and film director Robert Altman. JD Allen is a bright rising light on today’s international jazz scene. Originally from Detroit, Allen has worked with legends Betty Carter, Lester Bowie, George Cables, Ron Carter, Louis Hayes, Frank Foster Big Band, Winard Harper, Butch Morris, David Murray, and Wallace Roney. He’s also added his voice to that of his contemporaries, including Cindy Blackman, Orrin Evans, Me’shell N’degeocello, Dave Douglas, Jeremy Pelt, Gerald Cleaver and Nigel Kennedy. JD’s 1999 debut album, In Search Of…, won him the Best New Artist award in Italy. In 2002, Pharoah’s Children was named one of Jazziz Magazine‘s top 10 Albums of the Year. Following the release in 2008 of I AM – I AM, JD was awarded Rising Star Tenor Saxophone in the 56th Annual Downbeat Critics Poll. In 2009, he followed the release of Shine! with a weeklong stint at the historic Village Vanguard. The New York Times reviewed his residency and commended JD for his trio’s “fearless approach to a formidable tradition.” He lives in New York City. Newman is a jazz drummer best known for his 26 year association with Billy Harper and his work with Henry Threadgill, Billy Bang, Henry Grimes, Leroy Jenkins, and Diedre Murray. He has performed with Kenny Barron, McCoy Tyner, James Moody, Ahmad Jamal, Jymie Merritt, Reggie Workman, Fred Hopkins, Gloria Lynne, Dewey Redman and others. Singin’ Drums, his solo project, has appeared at the Stone, NYC; The Warwick, NY Summer Arts Festival; and Pilot Tennis Tournament, New Haven, Connecticut. He has toured all over the world, and his work appears on over 30 recordings. Graham Haynes, son of jazz drummer legend Roy Haynes, is an instrumentalist, producer and composer. As an instrumentalist, he has created new dimensions of textual and tonal qualities with the cornet, flugelhorn, Tibetan trumpet and 21st Century digital equipment. Graham has developed a sound and musical philosophy that exists as a futuristic expression of the 70s jazz-rock, jazz-funk fusion era. 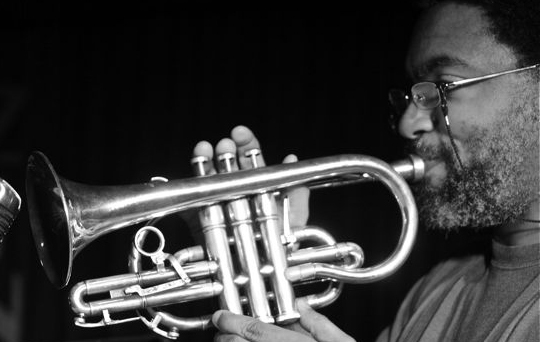 Three internationally acclaimed recordings, Griot’s Footsteps, Transition, and Tones for the 21st Century, established Graham as the only instrumentalist since Miles Davis to erect and deconstruct whole genres,while constantly elevating the standards of modern musicianship in ways that others can never duplicate. Graham has recorded and performed with: Talvin Singh, DJ Spooky, Soulslinger, Amina Annabi, Don Byron, Cassandra Wilson, Bill Laswell, Vernon Reid, Steve Coleman, Tony Williams, Roy Haynes, Ed Blackwell, Elvin Jones, Charlie Hayden, Don Cherry, David Murray and many other prominent musicians. Howard Mandel is a senior contributor to Down Beat, arts reporter for National Public Radio, blogger at Jazz Beyond Jazz and No Depression, adjunct associate professor at New York University, editor of the Illustrated Encyclopedia of Jazz and Blues, and author of Future Jazz (Oxford University Press, 1999) and Miles Ornette Cecil — Jazz Beyond Jazz (Routledge, 2008). He has written about jazz, blues, new and unusual music for the Village Voice, New York Times Book Review, Washington Post, The Wire (UK), Swing Journal (Tokyo), Bravo! (Rio de Janiero), and many other periodicals and websites. Howard is the president of the Jazz Journalists Association. Andrea is an electro-acoustic musician, composer and sound/installation artist, living and working in NYC. Internationally acclaimed for her uniquely gestural and textural approach to the electronically-processed accordion and inventive use of customized live sound processing, her laptop electronics and Fender-amped accordion propose a soundworld of lush harmonics, noisy concretized disruption, and soaring electronic feedback. Andrea performs and records as a solo artist and with such artists as avant-jazz saxophonist Ellery Eskelin, and Wilco guitarist Nels Cline; in collaboration with sonic innovators including Otomo Yoshihide, David Watson, and Miya Masaoka; and leading projects with artists such as New Music cellist Alex Waterman and trumpeter Peter Evans. She has also worked with Lawrence D. “Butch” Morris, the Rova Saxophone Quartet, Jim Black, Marc Ribot, and Joe Morris, among many others. Andrea’s recent CD releases include Faulty (broken orbit), Cities and Eyes, Ash and Tabula, and Downpour. Kentucky-born and Brooklyn-based multi-instrumentalist/composer Kelly Pratt truly enjoyed his Black February experiences. As a member of Beirut and a touring member of Arcade Fire he has toured the world and performed for millions of people. Kelly has recorded with hundreds of artists including Coldplay, James Iha, Owen Pallett, Amanda Blank, Herman Dune, and Bishop Allen and performed with many more including LCD Soundsystem, Calexico, Brazilian Girls, Anthony Braxton, and Akron/Family. He is also the singer and chief songwriter of the NYC indie group Team B.
Brandon is a guitarist, composer, and singer/songwriter. He has crafted a personal approach to guitar and improvisation that has taken him all over the world. “Future-folk music” is Brandon’s term for his family of sounds, at once pastoral, dissonant, intimate and subtly avant-garde. He co-leads the avant-power trio Harriet Tubman, with bassist Melvin Gibbs and drummer JT Lewis. In Blazing Beauty, his acoustic quartet, Brandon uses banjo/electric and acoustic guitars, cornet, acoustic bass guitar, and drum set, extending his expressive field into folk-oriented musics and alternative compositional approaches. Brandon also composes music for his acoustic string duo, For Living Lovers, with acoustic bass guitarist Stomu Takeishi. Brandon has performed with Muhal Richard Abrams, Arrested Development, Michelle Branch, Don Byron, Mino Cinelu, Bill Frisell, Leroy Jenkins, Jewel, Oliver Lake, Bill Laswell, Arto Lindsay, The Lounge Lizards, Myra Melford, Ron Miles, Lawrence ‘Butch’ Morris, Me’Shell N’degeocello, Joan Osborne, Zeena Parkins, Archie Shepp, Wadada Leo Smith, Sekou Sundiata, Henry Threadgill, Moreno Veloso, Tony Williams, Cassandra Wilson, Lizz Wright and many others. Mazz Swift, a native New Yorker, began playing the violin at age 6. She studied privately for nine years with Elisabeth Small, Shirley Givens and Timothy Baker. Mazz graduated from the High School of the Performing Arts, and later attended The Juilliard School of Music, studying under Stephen Clapp. Mazz’s diverse musical interests have led her in many directions: from classical music to rock to traditional folk music from around the world (specializing in Irish music) and hip hop. She has recorded and performed with a wide variety of artists including Dee Snider, Perry Farrell, Moby, Vernon Reid and DJ Logic (The Yohimbe Brothers), many artists from the Black Rock Coalition, Butch Morris, Suphala, Kanye West, Common and Jay-Z as well as many of the world’s finest American and Irish Traditional musicians. Mazz is based in the NYC area and can be found performing throughout the United States, Europe and soon, South America. 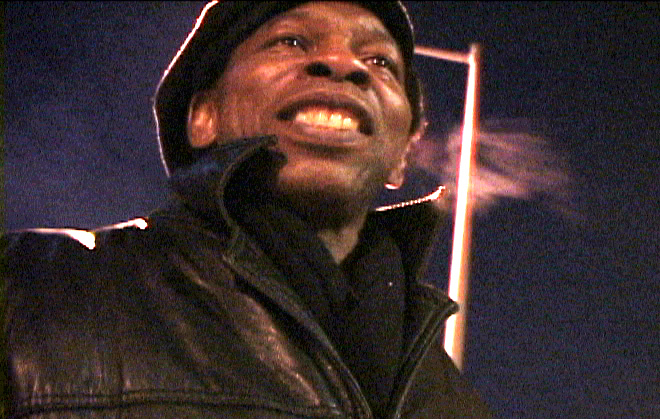 Greg is a musician, producer and writer who lives in Harlem. He was a Staff Writer at The Village Voice from 1987–2003. His writings on culture and politics have also been published in The New York Times, The Washington Post, Artforum, Rolling Stone, VIBE, Premiere, Essence, Suede, The Wire, One World, Downbeat, and JazzTimes. He was recently acknowledged by The Source magazine as one of the ‘Godfathers of Hiphop Journalism’ for his ground­break­ing work on the genre’s social, political, economic and cultural implications in the period when most pun­dits considered it a fad.His books include Flyboy In The Buttermilk, Midnight Lightning:Jimi Hendrix and The Black Experience, and Everything But The Burden–What White People Are Taking From Black Culture. He is currently completing a book on the Godfather of Soul, James Brown. Since 1999 Tate has led Burnt Sugar The Arkestra Chamber, a 14-25 member Conducted-Improvisation ensemble based on Butch Morris’s patented Conduction system. Henry Threadgill is an American composer, saxophonist and flautist. Although Henry’s musical roots are in jazz, the blues and gospel music, he is considered to be one of the premiere avant-garde composers in music today. He was one of the original members of the legendary AACM (Association for the Advancement of Creative Musicians) in his hometown of Chicago and worked under the guidance of Muhal Richard Abrams. After a stint in the army, he joined with Fred Hopkins and Steve McCall to form the trio Air, one of the most celebrated avant-garde jazz groups of the 1970s and 1980s. In subsequent years, Henry created several ground-breaking ensembles, including, Sextett, Very Very Circus, Make A Move, Zooid and Flute Force Four. Henry has recorded or performed with many of the legends of the jazz avant-garde, including Anthony Braxton, Joseph Jarman, Bill Laswell, Roscoe Mitchell, and David Murray.